Gums play a key role not only in our dental health, but in our overall well-being. While thinking about the dental health, we focus mostly on preventing cavities but not healthy gums. Below in this article you will find some useful home remedies to relief sore gums. Inflammation of the gums is a common problem. The tissue that forms the gums is thick, fibrous and occupied with blood vessels. Hence, inflamed or swollen gums may protrude or bulge out and appear red instead of normal pink. Inflammation of Gums can be caused by number of issues, such as gingivitis, infection, nutritional deficiencies or pregnancy. Other frequent causes include dental appliances, excessive smoking or use of other tobacco products, sensitivity to toothpaste or mouthwash, an injury or incorrect brushing or flossing techniques. When the gums feel painful, throb, red or sore, you may have unhealthy gums. It may be difficult to eat or talk when you’re dealing with sore gums, so it’s important to address the problem instantly. There are various home remedies available to treat the pain effectively. Though, many of these remedies give only a symptomatic aid for gums swelling and pain. If you want to know the main cause of the problem, then a dental examination is necessary. 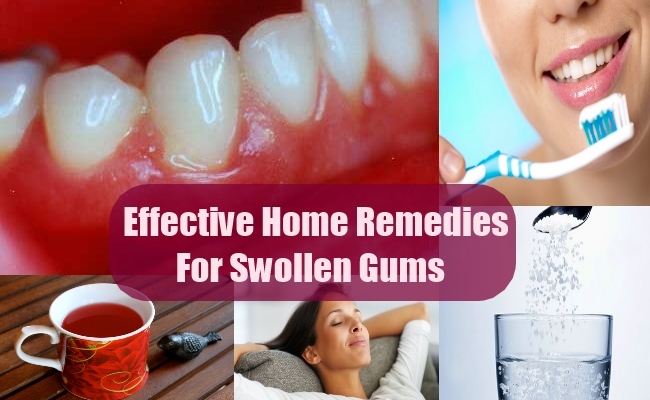 However, some of these proven and effective home remedies are helpful to deal with Sore/Inflamed Gums. Saline water mouth rinse is one of the oldest and still the most useful remedie for swollen gums. Salt water is a natural disinfectant and thus helps to get rid of microbes in the mouth that might be causing the inflammation of gums. 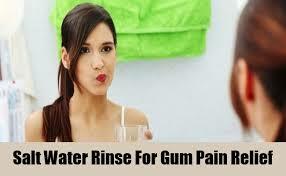 Rinsing the mouth with warm salt water helps to get rid of swollen gums too. 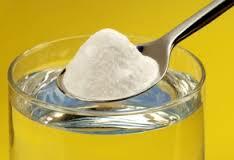 Rinse the mouth with warm water containing salt 1 tablespoon 2 times a day. The fresh lemon constitutes anti-inflammatory and alkalizing properties which have many nutrients that include calcium, potassium, vitamin C, vitamin A and pectin fibre. 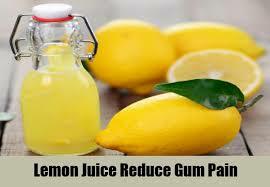 It also has fine antibacterial properties which makes it one of the best remedies for swollen gums. Lemon water antibacterial properties help to get rid of microbes and its nutrients make up for the deficiency of minerals and vitamins that might be causing gums swelling. The alkalizing nature makes the environment inside the mouth difficult for bacteria to survive. Rinsing mouth with Luke warm lemon water relief the pain and inflammation of gums. Clove is an ancient secret for toothache and it equally relieves swollen gums. Eugenol, the volatile oil that is present in the clove has excellent antioxidant and anti-inflammatory properties that help you to get rid of swollen gums. 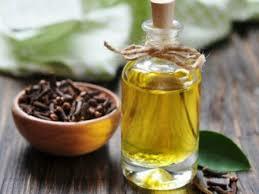 You can chew some cloves or clove oil can also be directly applied to deal with sore gums. 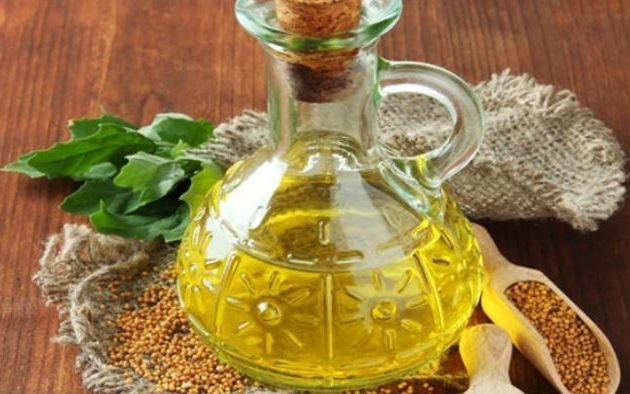 Mustard oil has anti-bacterial, anti-fungal and anti-inflammatory properties. Glucosinolate compound in the mustard oil makes it an anti-microbial agent. Mustard oil is a strong stimulant which helps to stimulate blood circulation to the affected part. Thus massage of mustard oil on the gums stimulate proper blood flow and relieve the inflammation along with getting the its anti-microbial advantage. 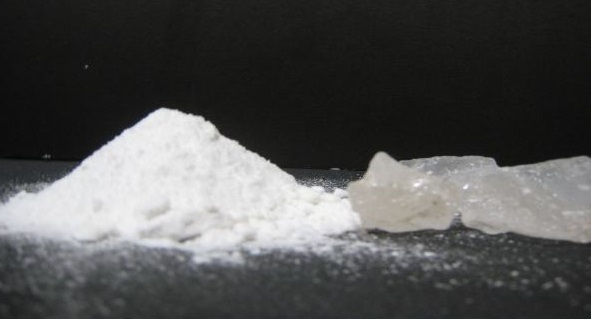 Alum is popular and easily available natural mineral that has any medicinal uses. It has anti-septic and excellent astringent properties. Alum helps to shrink skin tissue. All this is important when it comes to treat swollen gums. Using alum on swollen gums not only reduces the inflammation but also relieves pain. Alkaline nature of Baking soda makes the environment inside mouth hostile for the survival of bacteria and other microbes. It neutralizes the acidic waste produced by the bacteria and brushing with baking soda paste also gives whiter teeth. Babool tree Bark is the best remedies not only for swollen gums but for overall health of teeth and gums. 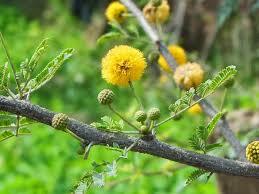 It is one of the popular Ayurvedic herb for dental problems. In ancient times the babool tree branches were used to brush teeth. It gives strength to gums and reduces plaque. It is an astringent herb having lots of tannins in it. Thus, it is able to contract body tissues so that the flow of blood towards the inflamed part is stopped. 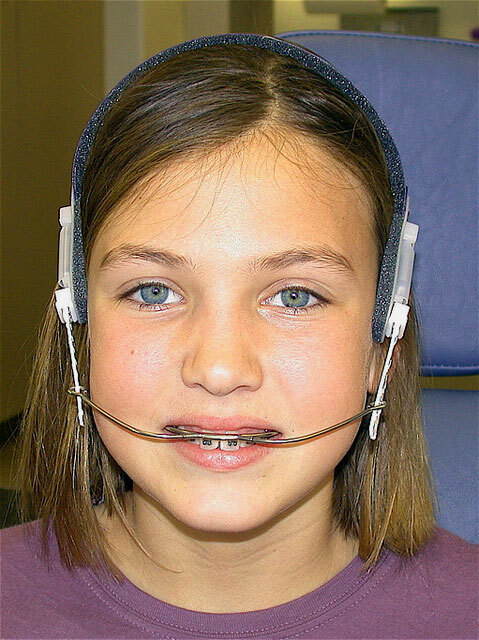 This facilitates in the treatment of swollen gums. So while you’re dealing with the Sore/Inflamed Gums you can turn to nature for relief of symptoms. Hope it works a lot to you.